Mark was born in Chicago, Illinois and raised in Edina, Minnesota – making him the only “city kid” at Kluis Commodities. He attended Arizona State University, majoring in Finance, and also earned an M.B.A. in Finance at the University of Colorado-Boulder. 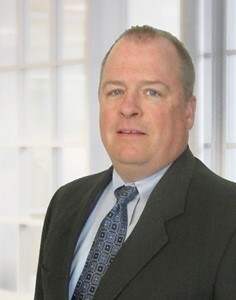 Mark has been in the Financial Services industry for the past 26 years. His experience includes 8 years as a Trader in the Eurodollar pit at the Chicago Mercantile Exchange, trading bonds and equities for Ameriprise Financial and as a Financial Advisor for Merrill Lynch. As a Series 7 certified broker with Kluis Commodity Advisors, Mark works on a personal level with farmers in helping them to implement a complete marketing strategy. He also enjoys charting the various grain markets, and looking for opportunities for his clients. Mark and his wife, Sara, have four children – a daughter and three sons – who keep them very busy. He is involved in coaching their various sports teams and helping at their school and in the community. When he isn’t in the car driving the kids, Mark enjoys playing hockey and golf, reading a good spy novel and traveling with his family.